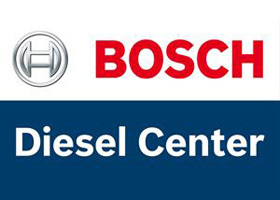 Welcome to the Website of Móricz Bosch Diesel Center! Nowadays Móricz Kft. is one the best known diesel injection pump service-stations in Hungary. 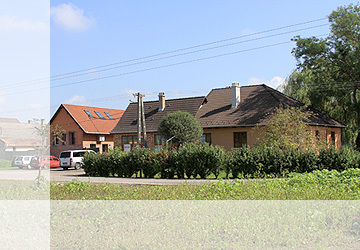 Our headquarters can be found in Hajdúböszörmény (East-Hungary), but our services can be reached all over the country. Our workshop is equipped with the most modern Bosch-, Hartridge- and Stanadyne-machines, where we do a wide range of repair and rebuild of diesel injection pumps (disassembling, assembling, cleaning, change of linings, testing on bench, and adjustment). With the help of our diagnostic system we can find the cause of the failure fast and correctly. We have all the necessary machines and technology for the efficient repair. Beside repairing and rebuilding of injection pumps, our service-station sells parts for the best known European diesel injection pumps on a competitive price. Parts of some brands are available directly from our storehouse. We are distributors of Bosch, Delphi, Denso and Stanadyne. Beside the continuous development, the Injection Pump Center of Móricz Kft. intends to fill every requirement of the domestic and international standards, and meet the demands of its customers and partners. It is our main objective to meet our clients' demands with our services. Employing experienced specialists, and using the most modern machines, test benches is a good way to guarantee the satisfaction of our partners and customers. We focus our attention on the changes of diesel technology, and pay heightened attention to improve the professional knowledge of our colleagues. 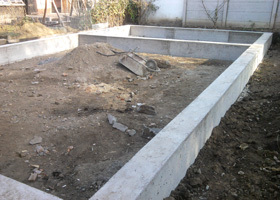 We have finished the concreting of the new side wing lately. » Reliable, affordable and efficient! Because of technical reasons, we must disassemble the damaged injection pump to find the failure and estimate the costs of the repair. (Even in a very simple case of change of linings, we must disassemble the injection pump; otherwise the damaged part of the pump can break down the test bench.) The cost of disassembling is 10,000 HUF + 27% VAT. After the error analysis our colleagues make a rough estimate of costs, and let the customer know about the costs of repair and material. We always charge the cost of disassembling to the customer, even if he doesn't accept our estimate for the repair after the error analysis. In this case we give back the injection pump disassembled to the customer. 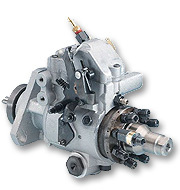 At the customer's request, we can reassemble the damaged injection pump without repairing. In this case, the injection pump is NOT READY for use. The cost of assembling is 10,000 HUF + 27% VAT. After accepting our estimate of costs, our specialists repair the diesel injection pump. In this case we don't charge an extra cost of disassembling and assembling to the customer, because these are already included in the cost of repair. The residence of Móricz Kft. can be found in Hajdúböszörmény, 60 km from the Rumanian and 110 km from the Ukrainian borders. Hajdúböszörmény can be reached from Budapest driving east about one and a half hour on the freeways M3 and M35. The town can be reached from Debrecen going north-west on the freeway M35 or on the motor-road 35. Our headquarters is located just next to the freeway exit, in the north-west gate of Hajdúböszörmény, at the end of Polgári Street. If you travel from Debrecen to Miskolc on the motor-road 35, you have to take the last exit to the center of the town, which is the Polgári Street itself. You can find more information in Contact Us.